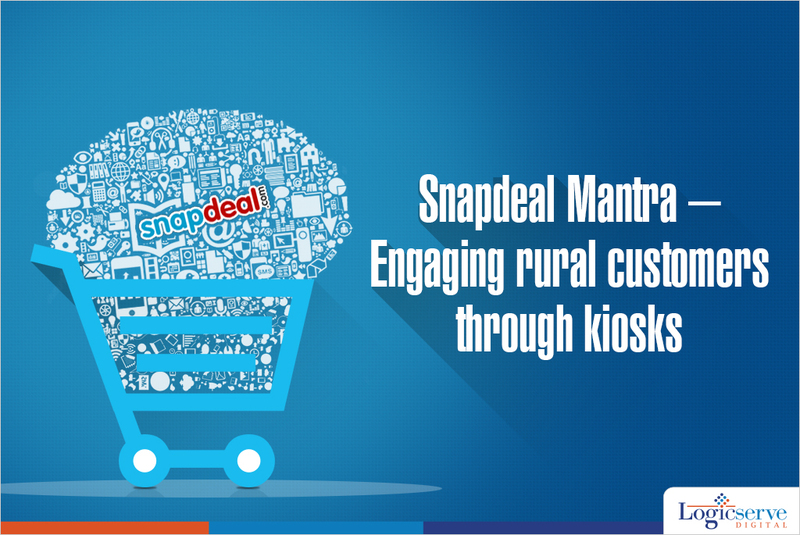 Snapdeal has announced its next initiative to reach out rural consumers with zero internet connectivity by setting up kiosks in high density population areas within the country. The identified areas include massive slum areas of Govindpuri, Delhi, Dharavi, Mumbai and select villages in Gujarat, Rajasthan and Haryana. In all, Snapdeal has plans to set up 5000 ecommerce kiosks across 65 cities and 70,000 rural areas with assistance from FINO PayTech, an Indian firm offering financial inclusion solutions. Through this initiative, Snapdeal wishes to reach out more than 50 lakh rural consumers and in a short period, the figure could reach up to 5 – 10 crores, if the kiosks perform well. During their initial run of the kiosks, the average amount of each rural consumer reached nearly Rs. 1400, slightly behind the urban average of Rs. 2000. Reaching out to the customers has to be the strategy of every business. Snapdeal has moved forward to be available where its prospective customers are present without being deterred by their non accessibility to the ecommerce space.